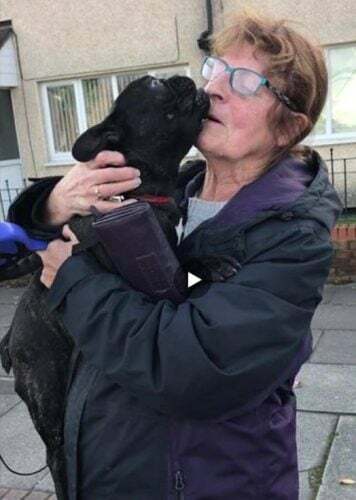 A young girl called to ask if I was the lady who had lost the dog, I started crying, it was then she told me she had him. She was walking her dog in Alt Meadows and her dad spotted Marshall’s ears! I was so excited she said she would meet me on Stonebridge Lane, I flew to pick him up. They were a lovely family. Marshall was found in the location where I lost him, which had been thoroughly searched, so we think with all the media attention whoever picked him up on Thursday got scared & dumped him back there. The reason I say this is because Scouse Pets and a lot of other people including myself, searched every bush & undergrowth. Social Media made Marshall #TooHotToHandle! Thank you everyone who shared his profile. He has settled back in with our family, he was very tired, hungry and slept all day. After the sleepless nights, we went to bed early and now he is his usual bouncy self, he doesn’t appear to be traumatised at all. Wherever he was, we are thankful he was cared for as he wasn’t even smelly or bedraggled. Thank you so much, Marshall is happily playing right now and does not appear to be suffering from any trauma. He has not left my side, even following me to the toilet & shower room!!! We all love him to bits. Once again from my heart thank you so much. We are overjoyed to have him back. From the bottom of my heart I cannot thank you enough for your support. THANK YOU everyone who shared this page, his posts and offered support to our family. 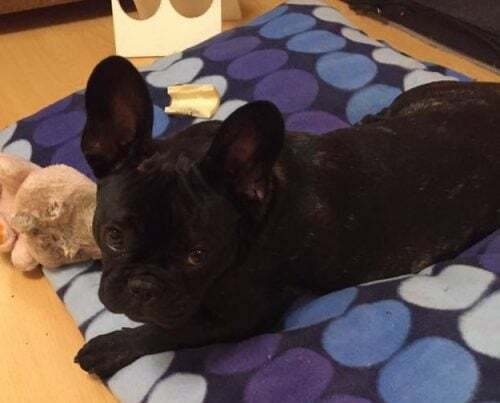 6 month old French Bulldog missing in Alt Meadows, Croxteth, Liverpool L11 9BR. Marshall is a small Black/Brindle puppy. He was wearing a Red Collar and name tag. He was frightened and when he ran off his retractable lead was still attached. He is desexed and microchipped. Please help us find Marshall by sharing this page to your email contacts and social media accounts. Thank you.